Julia’s Blog: Who Ate My Candy? What a great mirror! I mean the video of children responding to the parents confessing, I ate your candy last night. In case you haven’t seen this popular Jimmy Kimmel segment, it’s worth watching. A pretty cruel prank if you ask me (and it’s bound to make you laugh) but these children’s faces are such an accurate image of the 2,3,4 year old kid screaming for justice in our own crooked little hearts. When our significant other or a friend doesn’t give us what we want, as rationally as we aspire to respond, chances are there is a kid kicking somewhere under the bed, that says MY CANDY! And that kid will keep stomping and wailing unless she’s seen and heard. Time may come in any relationship,when it feels as though the person we’ve been counting on has eaten our candy. Or maybe it’s the other way around.Maybe someone who’s been counting on us, will feel that we’ve taken away their entire stash. And maybe we, or the friend in question will say, “It’s not a big deal. Really! It’s not that ‘heavy.’” But we’ll know something has changed. We’ll know that we’re not treating each other with the same ease as before. What do we do? Do we settle for this simulacrum of a friendship; the clone of a friend who was there yesterday? Do we pretend things are just as they used to be? Do we wait hoping that the real friend will return sooner or later? 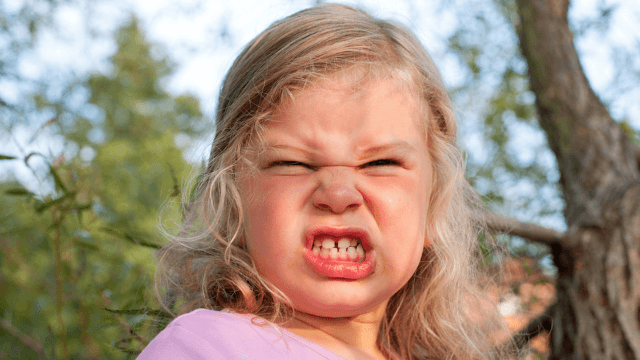 Do we risk facing the tear-stained face of the betrayed stomping toddler in each of us? Dear Julia. I am checking in here as you nudged us on the circle last week. It is so amazing – the morning after the call, I was thinking what I would do if i did not have to think about my journey to our baby. And the things that came to mind are the things that I would do – that I should actually be doing and would help me on this path. Somehow my Os are probably stopping me from doing those very things. Definitely something to dig deeper for me there. On Saturday – I took out my favorite childhood story collection and read one story – the Master Tiger, and listened to another one that I came across recently, and didn’t know was part of the collection I already had! Looking forward to discovering and enjoying more fairy tales/stories this holiday season. 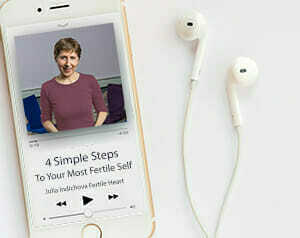 This Fertile Heart work, and other inspiration, tools and experience – that have come my way on this long and winding road of a fertility journey – have taught me that actually in the end there is no such thing as a negative emotion. Sure there’s choices in how we let things play out or be expressed, I’m not meaning to suggest we should just let rip and rage at everyone. If we have a raging orphan its likely she’s raging because she’s been wanting to be heard a long time or the injustice she is angry about really is as large as her reaction. The practice for me has been how to hear it, channel it, interpret it and use it to move, act and heal. Early in this fertility journey I worked with a practitioner who you could definitely describe as ‘new age’. She certainly had many gifts and was helpful on many levels, however she was adamant that I must not even think a ‘negative’ thought, let alone express an emotion she felt was ‘negative’ as these things could only be damaging. I remember she even warned me away from Fertile Heart calls because to hear other women’s pain could influence my own journey in a negative way! Well for sure I know all that was not right. My 4 year old nephew and 2 1/2 year old niece have been teaching me that children’s reactions are often more authentic, and grown ups are unwise if we dismiss them. But since discovering fertile heart I have a tool kit that helps me not (always) stop at the first reaction of rage, guilt, or shame, but dig a little deeper as there’s always something more. I haven’t been far away Julia. I just needed to take some time to check this journey is still about having a family for me … it is. I’m back, and ready to dare to continue to hope. Always lovely to hear from you, R.! In theory (theory always easier than practice…) One should separate themselves from the orphan/toddler and not react. It’s easy to go down the road on a whole internal dialogue that no one else relates to, after all there are always 2 sides to every story. Maybe as mentioned above the friend/partner is not aware of the expectations. In that case one needs to communicate and cultivate the relationship towards an understanding. Or, instead acknowledge to yourself the limitations or limited scope of the relationship. I have felt like these kids many times in my 4+ year fertility journey. I have felt let down by friends when they haven’t said or done what I deem to be the right thing, when I have felt like they have not been there for me, have not understood what I’m experiencing. Quite a few of my friendships have had their ups and downs through these years. And I realise it’s not just about them being wrong and me being right. That sometimes my friends aren’t responding in the way I want because they don’t even know what I’m feeling or what I need. And I imagine there have also been times when I haven’t been there for them, as I haven’t known the right way to respond or the depths of what they are feeling. And I have certainly raged and ranted in various forms of Body Truth over the years. Human relationships are not easy, so much gets left unspoken. And I actually find it easier to be open with my husband or my family when I feel let down by them, but friendships feel somehow more fragile. Plus, my husband notices instantly when something is up with me, as he’s so tuned in to me, so he’ll always ask, which gives me an easy opening. Whereas a friend is less likely to even notice, I find. I feel like those kids sometimes with fertility but when I watched it, I thought as adults we have the power to go out and find our own new candy-equivalent. Some relationships you just have to walk away from if they are toxic/i.e. if someone is “stealing your candy.” In the fertility journey, I’m really trying to block out the noise from the naysayers and just focus on what I can actually do. I did watch the video and was astounded that some of the children had an amazingly forgiving response. When my scared orphan toddler has taken a break recently, the it’s not fair orphan is often standing by ready to take over. She says it’s not fair they don’t appreciate you at work. This week went a little better so I am grateful. I kept repeating to myself all the things my husband said about how amazing I am. I’ve also been compiling a list of things I enjoy doing. I can’t say I spend a lot of time doing those things I enjoy doing because of pressures at work, but I squeeze some of the things in occasionally. I have been working with the confident me body truth and Orchard of Possibilities visualization.